What is your favorite James Toney fight? There are of course quite a few gems to pick and choose from; and as we know, “Lights Out” fought some big, big fights in a number of different weight classes. Be it at middleweight, super-middleweight, cruiserweight or even heavyweight, Toney sure dazzled us with some superb performances. But his best-ever fight/performance? For that we could perhaps rewind to this month in 2003. Go back further, to the summer of 1999, and Toney was in the middle of a serious campaign that was focused on ending with a major cruiserweight belt strapped around the Ann Arbor’s warrior’s waist. It would not be easy and many critics were out in force telling anyone who would listen how the 30 year old former middleweight and super-middleweight ruler had peaked; his talents and gifts largely squandered. “Lights Out” was done, these people said; and Toney, a notorious on-and-off hard worker in the place that mattered, the gym, would not become a three-weight world champion. But Toney, one of the finest “born fighters” in history, was not listening, and neither was his current trainer, Freddie Roach, a man who had been brought up the old-school way himself, taught as he was by the incomparable Eddie Futch. Toney, who had lost widely to Roy Jones in their big super-middleweight showdown in 1994 and had since dropped closer decisions to Montell Griffin (twice) and, shockingly, Drake Thadzi, was not the same force as a light-heavyweight as he had been as a 168 pounder – what made him feel he would be able to take on and beat the best at an even higher poundage, the “experts” demanded to know. Again, Toney wasn’t listening. After reeling off eight or nine decent wins over good if not great cruisers – guys like Saul Montana, Michael Rush and Jason Robinson giving Toney work, each fighter seeing the rededicated former champ get into better and better physical shape – Toney had earned himself a shot at Vassiliy Jirov. Jirov, unbeaten at 31-0, was not only the reigning IBF cruiserweight king; he was in the opinion of most THE best cruiserweight in the world. A former Olympian who had made five retentions of the belt he had won in June of 1999, Jirov could perhaps have been referred to as an old-school fighter himself; he, like Toney, having a number of non-title bouts whilst reigning as world champ. Style-wise, though, there was no comparison between the two. Toney was slicker than slick, a master at slipping shots as well as placing them, and James knew how to pace himself in a fight. Jirov was a non-stop train who routinely threw a gazzillion punches in a fight, he was not at all hard to hit yet his chin was seemingly carved from timber and the Jirov was also a southpaw. It was Jirov’s youth (28 to Toney’s 30 not being too wide but the perception was Toney had aged considerably due to allowing his weight to balloon between fights; his skills having eroded somewhat as a result) and sheer work-rate that convinced most that Toney would take something of a hiding on the night of April 26, 2003. Toney, as lazy in some of fights as he could often be in the gym, would not b allowed to rest for a second in this fight. What followed on HBO After Dark proved memorable for a number of reasons. Some fights can be referred to as ‘a joy to watch,’ and this was the case here. Both fighters saw their reputation elevated, so good, so great was the two-way action. Jirov was as aggressive as ever, while Toney quite simply put on a masterpiece of in-fighting and making his man pay with hard, sickening counter-punches. Toney’s right hand, so effective a weapon against a southpaw, was brutally effective, appearing at times to be laser-guided. Jirov’s famed chin was tested and tested hard. The body punching, from both sides, was also quite incredible. Toney, again having paced himself superbly, came out in the 12th and final round and did just as Roach commanded. Jirov, looking shocked, hurt and dead-tired, did well to clamber back up. Had Toney done enough? James wasn’t sure himself (despite his later post-fight boasts) and he knelt in a corner as he awaited the verdict. Jirov had been docked a point for a low blow in round-eight, yet this aside it was a surprise when the scores were announced: 117-109, 117-109 and 116-110, all to Toney – the brand new IBF cruiserweight champion of the world. The right man won, even if the fight, a modern day classic, was a lot closer than the scores indicated. Toney, now 66-4-2(45) had seen his career revived in one big, big way. Fight of The Year accolades showered the great fight he had just won and then, in another, even bigger surprise that showed once again how special a fighter Toney really was, he moved up to heavyweight! Toney scored a handful of notable wins here too. Toney put on, throughout his incredible, near-30 year pro career, quite a few special performances. For some, his greatest nights came when he pitted his wits and his skills against those belonging to Mike McCallum, for others Toney shone most brightly the night he sliced and diced Iran Barkley. But for many, the night in 2003 when “Lights Out” became the first man to beat Jirov ranks as his finest ring display, bar none. 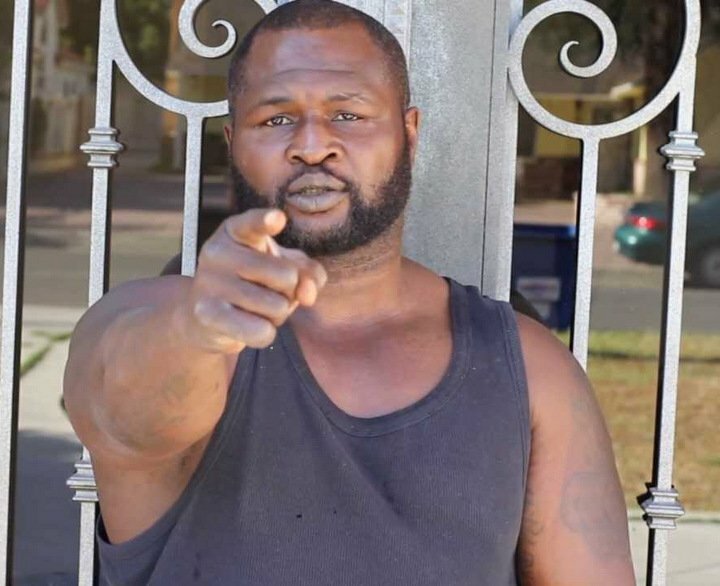 You are here: Home / Boxing News / James Toney At His Best – As A Cruiserweight?